Ferret Dreams Rescue & Adoption is a 501(c)(3) nonprofit charitable organization located in Denver, Colorado. 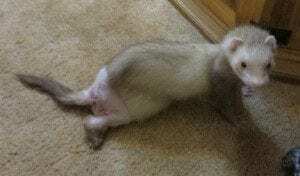 Ferret Dreams rescues sick, abused, abandoned, neglected and surrendered ferrets in Colorado and surrounding states. Ferret Dreams is a no-kill rescue, dedicated to serving the needs of the domestic ferret regardless of age or health. 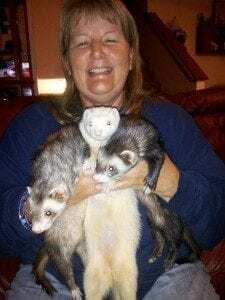 Ferret Dreams has rescued more than 800 ferrets since 2005. Donations to Ferret Dreams pay for medical treatment for our permanent residents, those on medical hold, and those adopted out with pre-existing conditions. 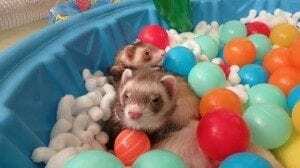 Ferret Dreams also has a building campaign with the hopes of finding a building to call their own—a building large enough to provide adequate space for more ferrets, provide quarantine, intake, and play rooms, and host Ferret Dreams and Mile High Ferret Club events. Your generous car donation will enable Ferret Dreams to continue to care for sick, abused, abandoned, neglected and surrendered ferrets in Colorado and surrounding states.